Why track social media? Social infiltrates and impacts nearly every aspect of the modern consumer’s life. Forty-one percent of users report that they use the social media platforms to keep in touch with friends and family, 40 percent say that they use it to get their news. Not only does it impact social relationships and the spread of news but retail as well. Forty percent of people in the same report also said that they use social media to follow their favorite brands, and one in four report that they have purchased a product they saw on social media. The rise of social media has driven marketers to consider carefully the importance of using these platforms in marketing campaigns as a means of engaging users. Considering that 77% of Americans have at least one social media account, its ability to reach target consumers should be clear. As marketers work to build a social strategy, however, you want to make sure that you understand how to appropriately integrate social media with the rest of your strategy and know how to measure your results. It is only through this careful analysis that you will be able to accurately determine the success of your efforts and know how to modify and improve them moving forward. Social media can provide a powerful means of learning more about your target consumer and capitalizing on new trends and opportunities. The constant conversation and the use of trending topics on social media platforms can give brands insight into what their customers are most interested in at that moment, which can complement standard keyword research. Producing content that speaks to these trends while they are popular can help brands increase their rankings and grow their reputation. You can also use social media to get another window in the strategy and content of your competitors. Watch their social pages to see what they produce and what the target audience responds to best. You can see what types of material gets shared and promoted within your sector and develop a strategy that will help you position yourself better against your competitors. Finally, social media can be used to promote content and build personal relationships with users. You can let your followers know when you publish new material and make it easier for them to share interesting content with their own connections. In an era of constant communication, customers rely heavily on personal relationships with brands they do business with. The ability of social media to provide a platform for people to speak with their favorite brands directly helps to nurture this connection between customers and brands. This boosts loyalty and helps customers feel as though this brand truly cares about them and their pain points and wants to help. To build this strong social media strategy, brands also want to take the time to establish their tracking metrics. There are a number of social KPIs you can monitor, both on and off the platforms themselves. Knowing what you want to accomplish from your social media strategy will help you determine which metrics matter the most to you. Here are a few ways you can monitor your strategy. Within the social media platforms you can track a number of different metrics that will lend insight into how people respond to your material and your profile overall. Track engagement with the content you post. Look at how many likes, shares, comments, and other types of engagement your material receives. This will help you see how people respond to your content and how well it captures their interest. Look at how people engage with your profile in general in response to your posts. See how many followers you have on your profile and the rate at which that number grows. When people interact with your content and profile, that activity automatically appears on the feeds of their connections. This means high engagement numbers will get your profile in front of even more people, and encourage interested people to engage with you further. The key to your social media profile is to generate traffic and attention to your site and capture more leads. Tracking how your social media campaign influences the activity on your site, therefore, can help you better understand how the social platforms impact your buyer’s funnel. Track the traffic sources on your website. This will give you a better idea of how people find your content. If, for example, you see a considerable amount of traffic coming from your social media pages, you know that your content has attracted the interest of many people who follow your brand. As you look look at the clicks from social media, check also the bounce rate that occurs from these users. This will provide valuable insight regarding not only if your content headings catch people’s eyes, but also how well the content itself engages them. As you see your traffic start to generate on your site, you can then see how well these new visitors follow through with the rest of your sales funnel. Analyze the percentage of your social media visitors that become leads and how many of them then progress through each stage of the buyer’s journey. Look also at the percentage of social traffic who end up making purchases and how large those purchases are. This provides insight into the quality of the leads you gather through social media and the ROI they provide your business. You can then start to gather data about the financial benefit of your efforts, which will then influence future strategy decisions. Finally, in addition to seeing how your social strategy helps you build relationships with people on the platforms and generate traffic for your site, you also want to track how your social efforts impact the rest of your SEO. Namely, you want to see if your social media efforts have helped your page improve in the SERP rankings. Keep in mind that Google reports that they do not track social media signals, specifically. 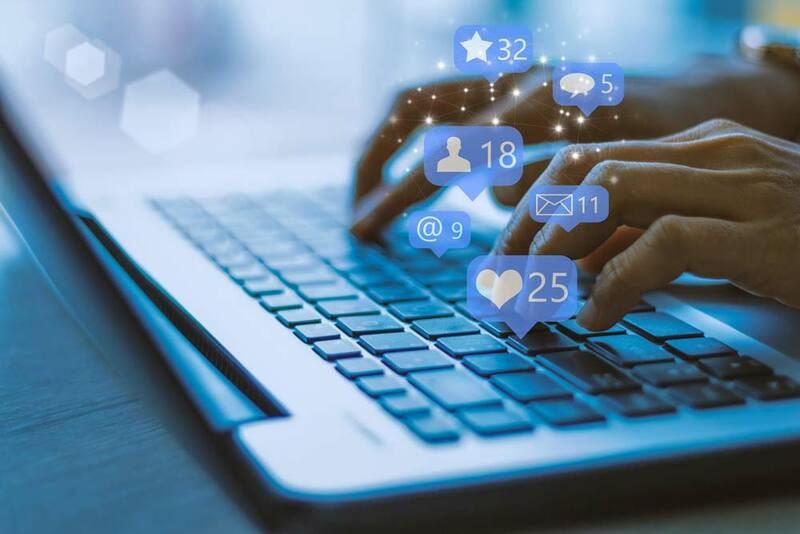 However, marketers have noticed that sites receiving large amounts of traffic and quality engagement numbers tend to see higher rankings–and social media can help you in both areas. As you promote content on social media, mark this event on the BrightEdge platform. You can then determine if your content sees growing traffic and engagement numbers following promotion. You will also be able to see if this increased engagement then helps to lead to higher rankings. Boosting rankings can help your material earn more clicks, and therefore more revenue. Social media can provide you with a powerful means of engaging with prospective customers and building personal relationships with them. No brand, however, wants to waste time and money on efforts that do not bring in a discernible ROI. Learning how to track your social strategies both within the platform, on your site, and on the SERPs can help you better understand your progress and make the optimal decisions for your brand moving forward.